Former Department of the Interior and Local Government Undersecretary Austere Panadero recently dared 53 graduates of the Development Academy of the Philippines-Public Management and Development Program’s Middle Managers Class Batch 17 and Senior Executives Class Batch 7 to respond to the needs of today’s tech-savvy Filipino while working together as civil servants functioning in an era of complex change. Speaking at the 16th graduation ceremony of the DAP-PMDP last March 1 at the DAP Conference Center in Tagaytay City, Panadero shared his insights as a public service veteran with a career spanning more than 30 years in the government. He picked up from the evolving nature of the public sector as an encouragement to the graduates to adapt to the changing times, comparing the past governance model he grew in as “interactionist, local, and territorial” versus today’s need of the government to hinge its services on the “vulnerable, uncertain, complex, and ambiguous” circumstances faced by the Filipino public. With these emerging issues, Panadero asked the PMDP graduates, “How will you design institutions that will respond to the needs and aspirations of the tech-savvy, highly mobile, and cosmopolitan Filipino? And how will you work together as civil servants and career officials under complex, persistent and relentless change? “At your age, I was then helping steer institutional reforms, fostering revolutions of the mind. With peers within and outside government, we wanted to disrupt the status quo and unlock the full potentials for governance and development,” Panadero related. The former DILG Undersecretary cited the demographic presence of young Filipinos or the “millennials” who play vital roles as consumers, producers, and composites of the labor force, taking up a statistically huge chunk of both the employed and unemployed population while also filling up posts in the government in many cases, as reflected, he said, in the body of PMDP scholars and alumni who are as young as 35 years old. “You need to step up to define the governance arrangements and institutional spaces for the young Filipinos or millennials – as they are now claiming economic prominence in the country… The future of the country is theirs. 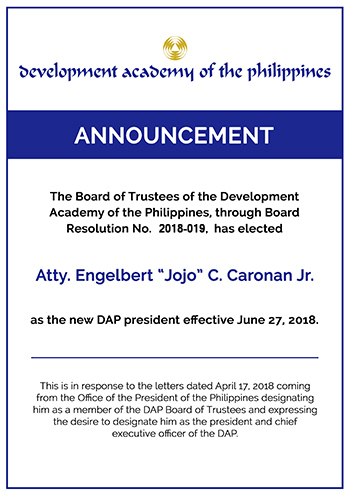 It is no longer ours to define for them… We need organizations like (the) DAP to open up the possibilities of research and futures thinking and to engage them in conversations (about) the institutions of the future,” Panadero stressed. Recognizing the strength of collaboration among rank-and-file employees with career executives, Panadero pressed on a collective effort for a successful adaptation to transitions going on in the bureaucracy, going so far as to encourage the participation of millennials in helping create the best political landscape for the country. 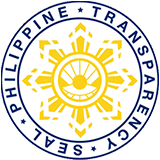 As DILG Undersecretary for 20 years, Panadero assumed office at a transformative time in Philippine governance with the passage of the Local Government Code in 1991, which decentralized the decision-making power of the national administration and thus granted more resources to local government units. Despite this system overhaul, Panadero continued with his approach of inclusive and participatory governance, localizing national government priorities such as the Magna Carta for Women, disaster resilience interventions, and the welfare of families in conflict-affected areas. 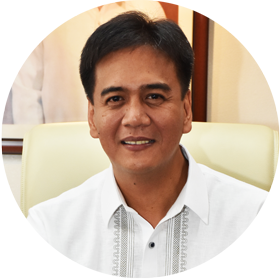 Prior to his DILG stint, Panadero also served as senior vice president of the DAP itself where he took his first steps in the government service as a technical staffer. He retired from public office in 2018 and is now the executive vice president of Zuellig Family Foundation, a nongovernmental organization focused on strengthening health outcomes in rural communities.